Those qualities and much more are the basis of the lessons Howard Gentry Jr. learned from his father. 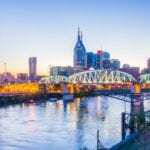 Gentry, Jr. was born and reared in Nashville, and basically grew up on the Tennessee State University campus. Although Mr. Gentry, Sr. was born in Columbus, Ohio, his career path led him to Tennessee State University in 1949, with his wife and their six-month-old daughter. Howard Jr. came later. He worked at TSU for 27 years, until his retirement, holding several positions that included instructor of health and physical education, assistant football coach, head of the intramural program, head football coach, and ultimately athletics director, a positon he held for 15 years. During those times, Howard Gentry, Jr., was a mainstay on the campus, where both his parents worked. Gentry Jr. continued, “While he was head football coach at TSU, each year before preseason practices would begin, it was a tradition for the team to gather at our home and we would have fellowship and food. My mother calls it a ‘weenie roast,’ and she should know because she cooked. Mr. Gentry Sr., was a formidable, success-oriented individual. He did not know nor concede to disappointment or failure. Even in a rare loss as coach, he would find a way to show the winning side of the experience and grow from that, such as when a player had record blocks or catches. Mr. Gentry Sr., also had a strong servant attitude. He was relentless about helping others, whether students, co-workers, church members, or sometimes strangers. He was giving. 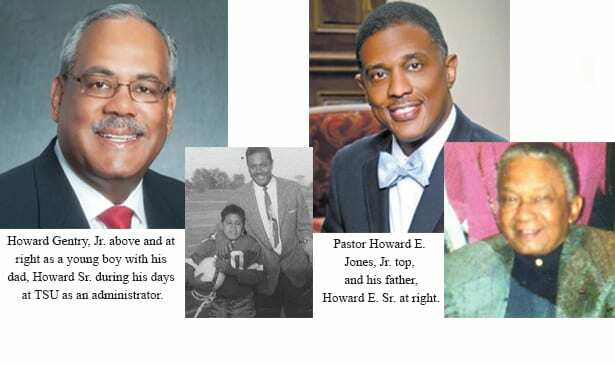 NASHVILLE, TN — Howard E. Jones Sr. was a staunch businessman; a man of wisdom and vision. At home and in business, it was always about work. He was a man who worked tirelessly and spoke directly. Mr. Jones, Sr. illuminated the path for Howard Jones Jr. to walk. “Born in 1937, my father and mother married at a young age; he was 18 and she was 16,” said Jones Jr. To that union, five children were born and we all worked…and hard. Mr. Jones Sr. and his wife, Barbara, owned a store in East Nashville and taught their children to work hard. “Dad would say, do for yourself—you can work now and play later or you can play now and you will work later.” Mr. Jones Sr., was a man who felt you should honor your word and be productive. “Once during my teenage years, I had hung out with friends and arrived home in the early morning hours. That morning was my scheduled workday at the store. When it came time for the store to open, my Mom and Dad woke me up and said, ‘it’s time to go to work!’” There was no mercy and no leniency. Mr. Jones Sr. helped so many people throughout his lifetime. He was a giving person and was strong in his convictions. Many will say it was in his DNA.